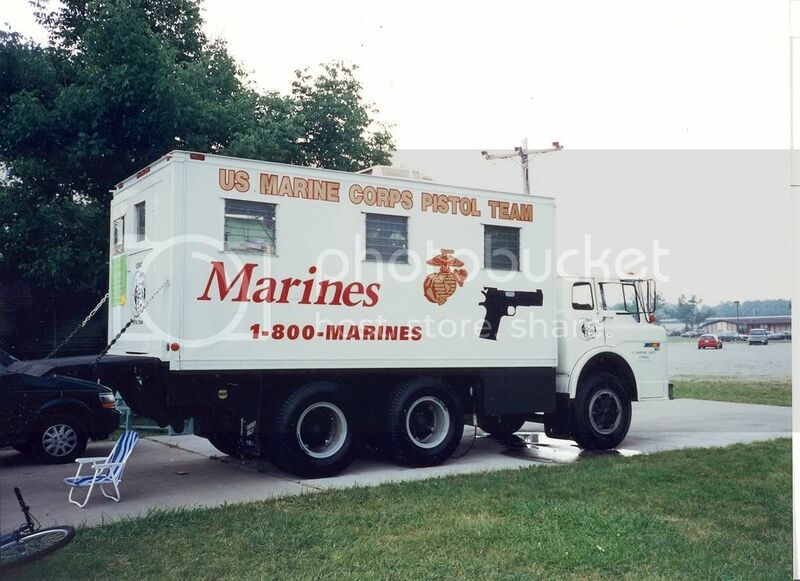 For those of us who make the yearly journey to Camp Perry in Ohio, for the National Matches, this Ford C Armorers Van was the place where if you were lucky, you got your equiptment worked on if you were having problems. 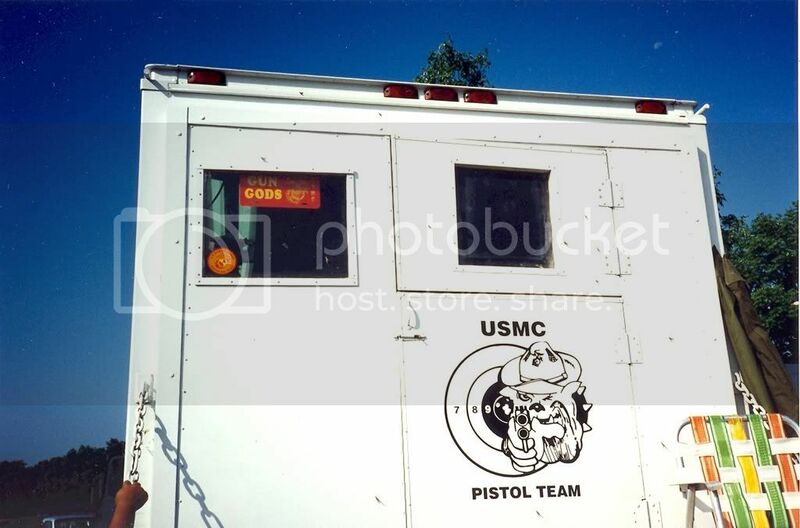 The body contained enough metal working equiptment to keep 2-3 Marine Armorers busy tending to the Marine Pistol Team firearms. This Ford C has since been replaced by a "goose neck" trailer. I hope the old Ford C is in a Museum somewhere.